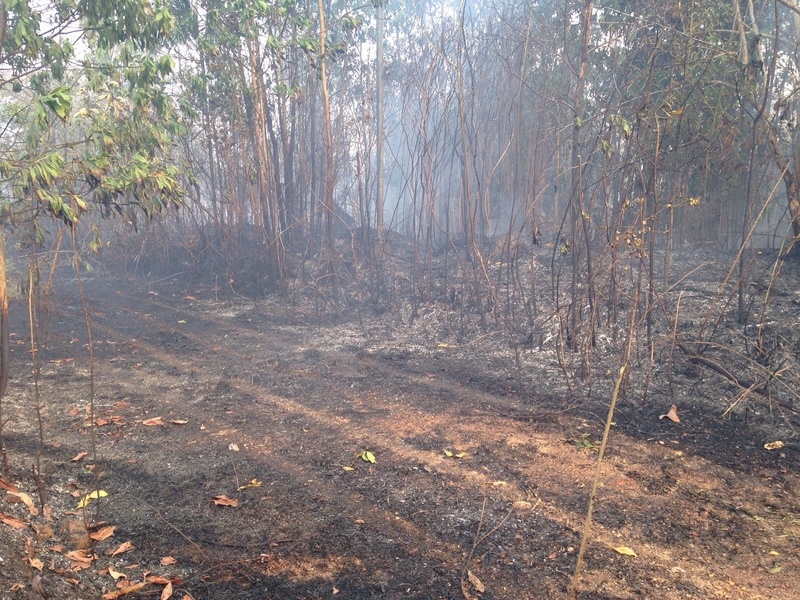 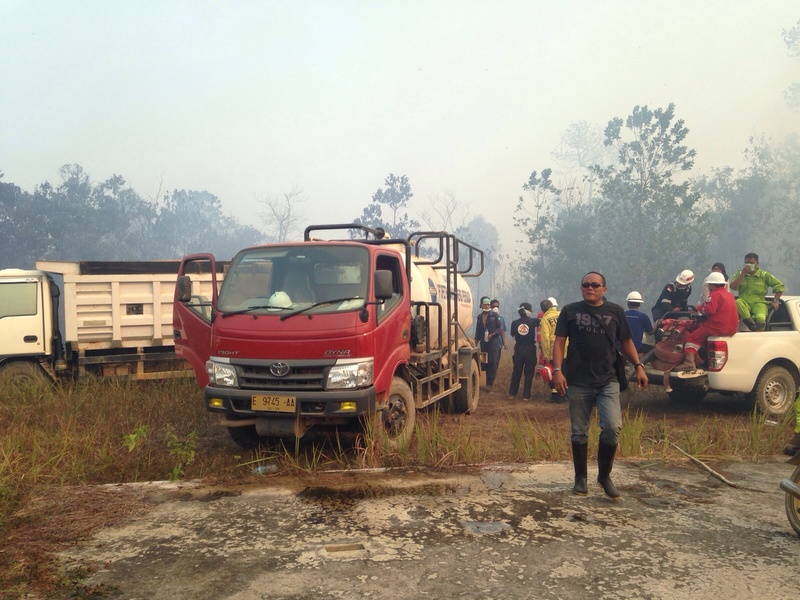 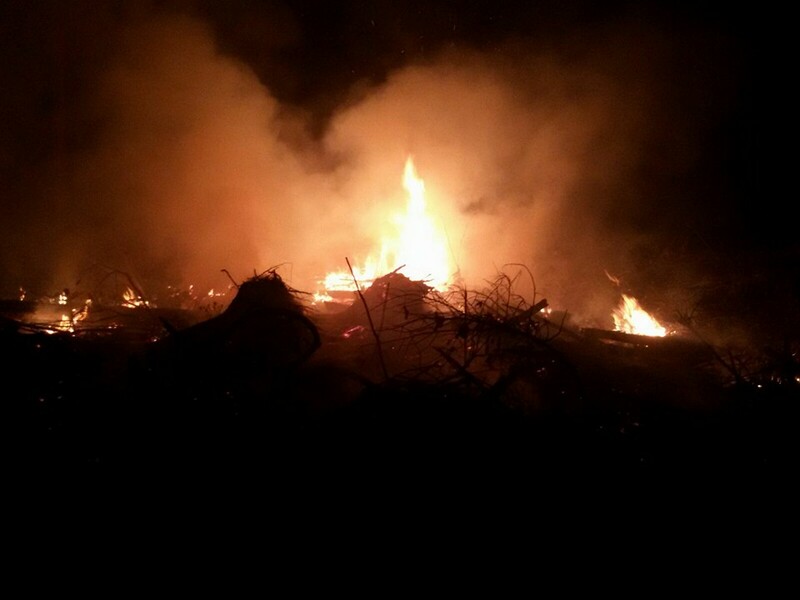 Emergency Fire Fund — BORNEO IS BURNING! 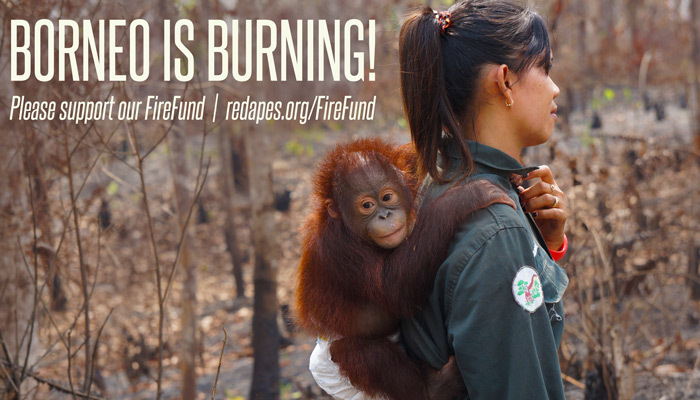 All donations made via this PayPal button will be marked as 'Fire Fund'. 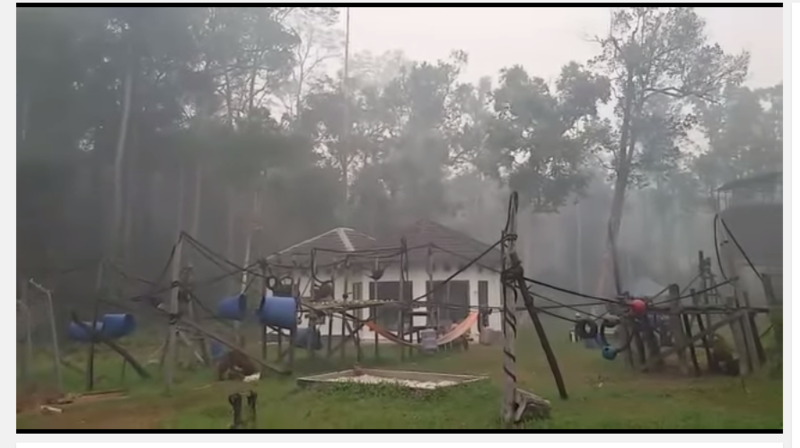 Smoke and haze blanketing the BOS Nyaru Menteng Forest School. 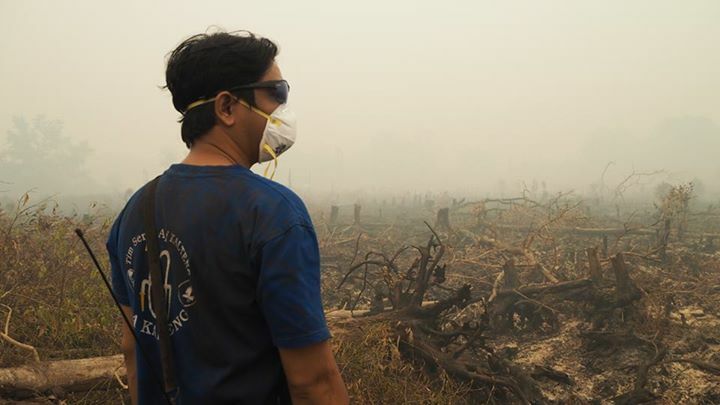 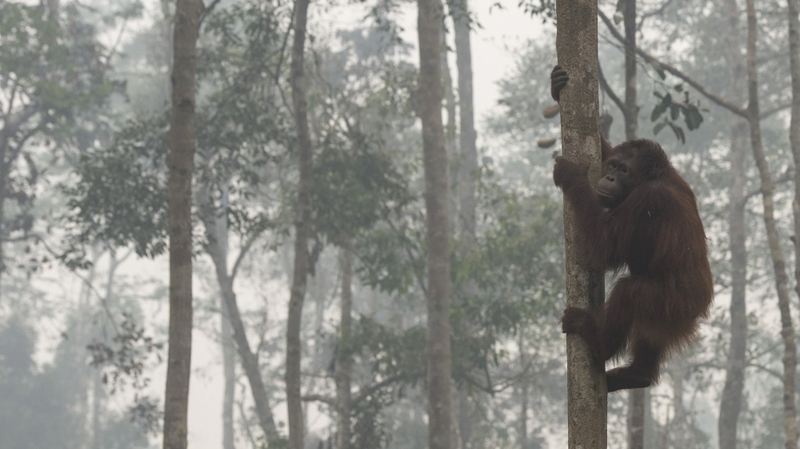 Smoke and haze shrouding the BOS Nyaru Menteng orangutan rescue center. 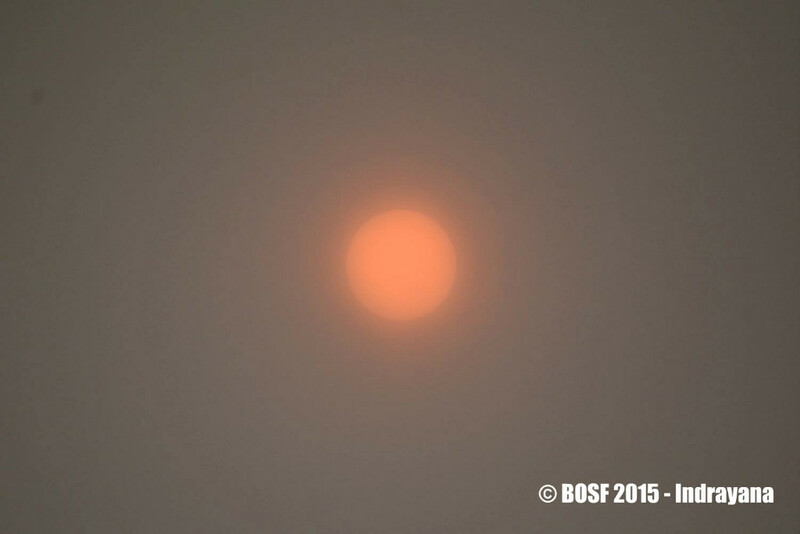 Image © BOSF. 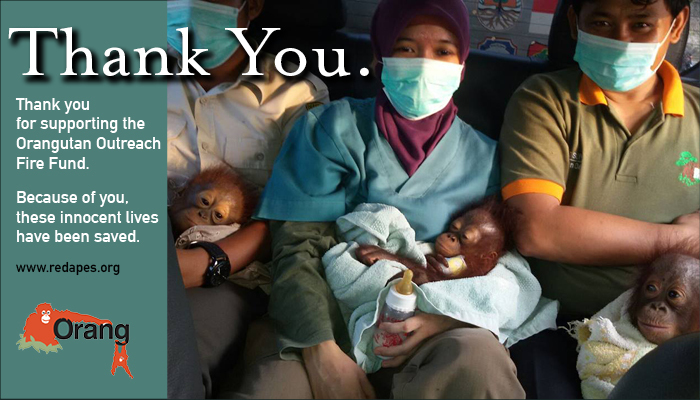 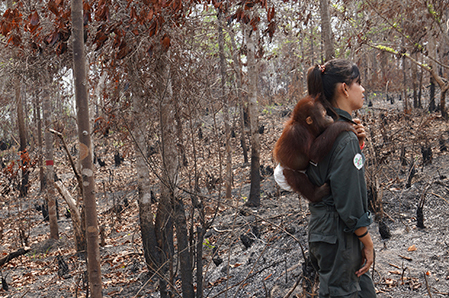 Orangutan Outreach is supporting several organizations on the frontline protecting large areas of Borneo from forest fires. 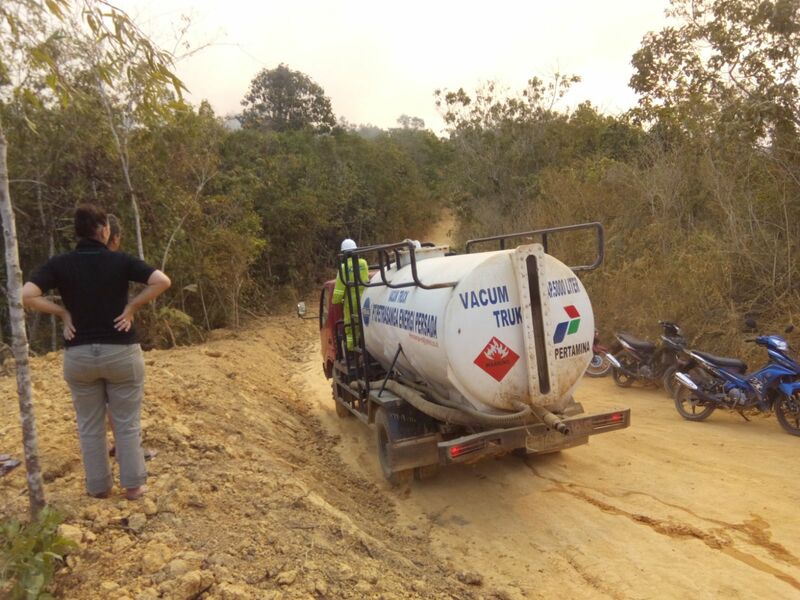 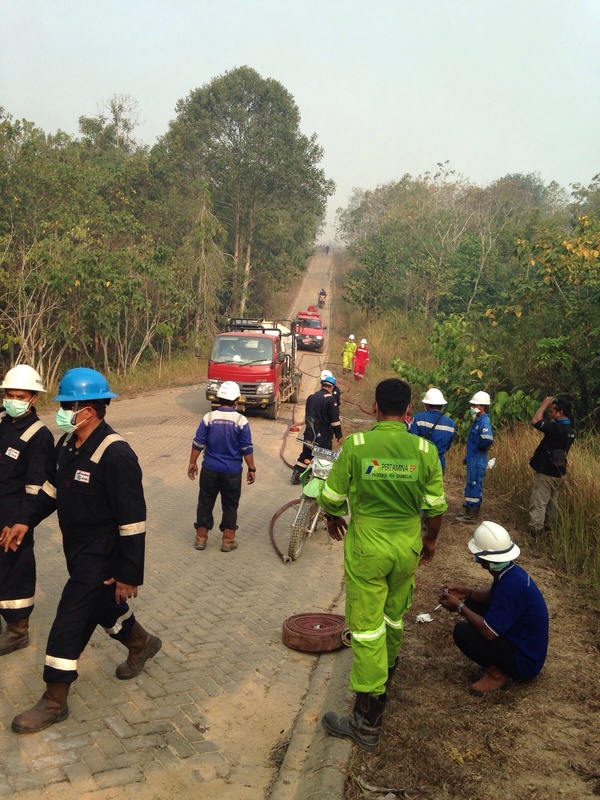 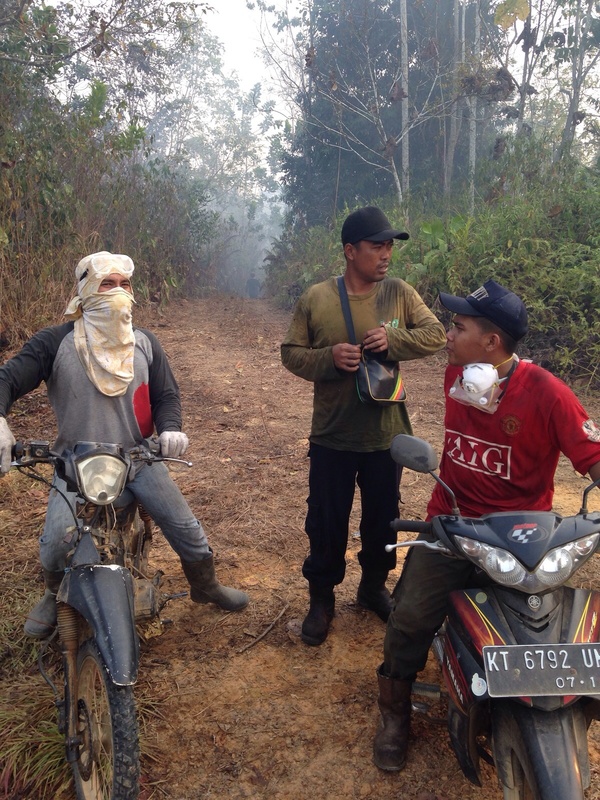 Alongside local communities, the teams are working around the clock to put out fires as well as patrolling forests and peat swamps in remote areas of Borneo. 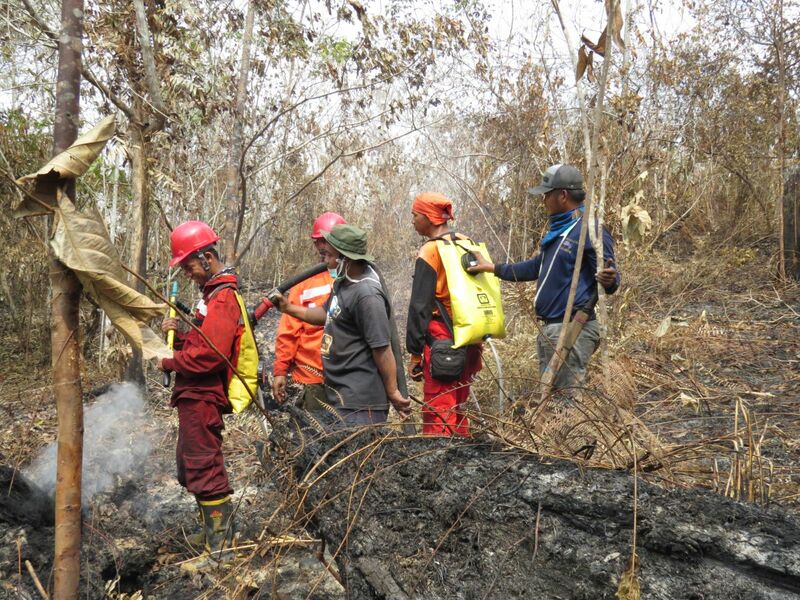 The biggest challenge the fire prevention teams face is making sure the Indonesian peat forests don't catch fire, because once peat fires start burning, they are almost impossible to extinguish. 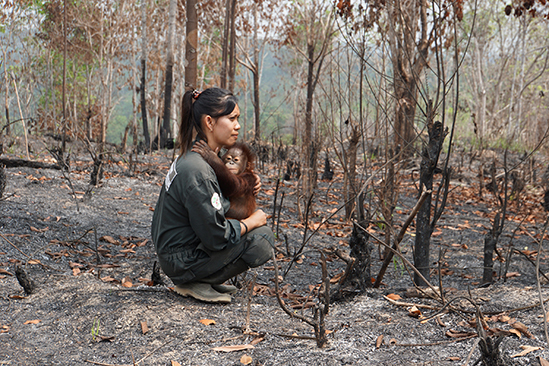 When this happens countless animals perish and devastating smoke and haze spread across the region. 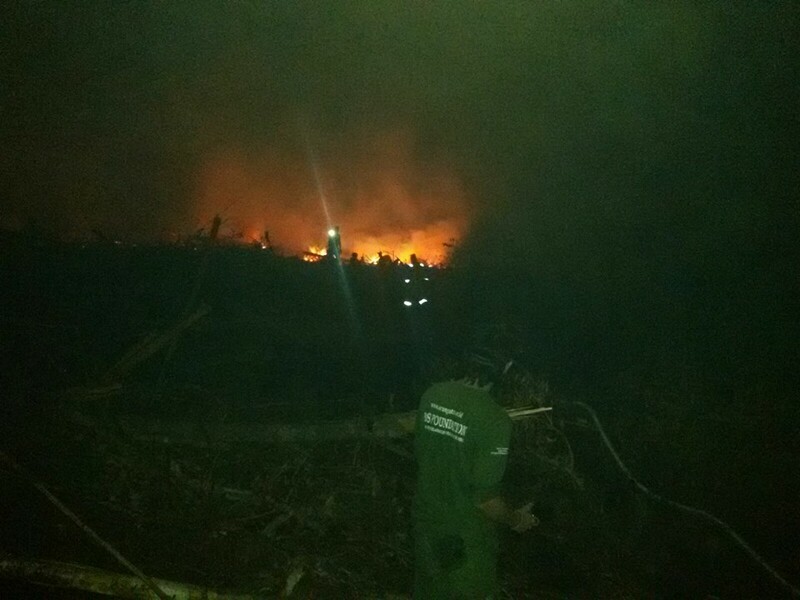 They need to be making regular patrols in high-risk areas and when they are confronted with flare-ups, they need to be equipped with proper equipment. 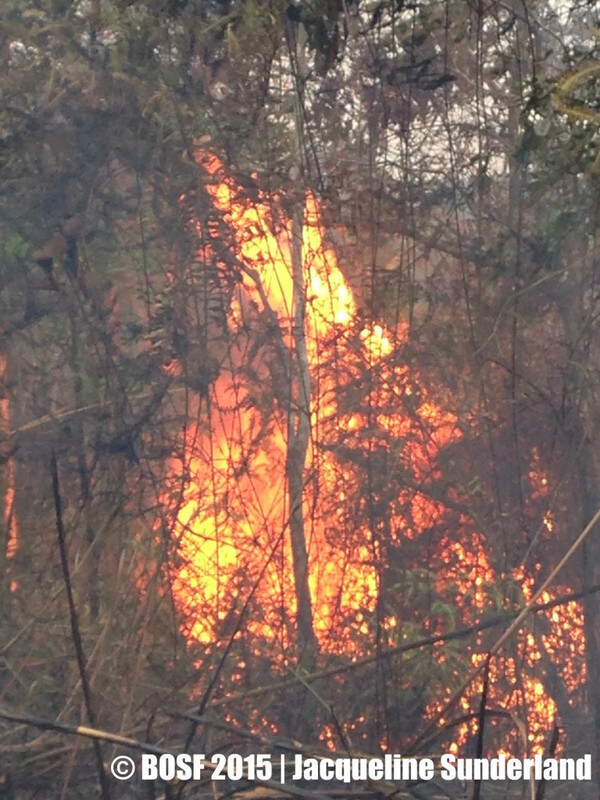 Please make a donation to the Emergency Fire Fund! 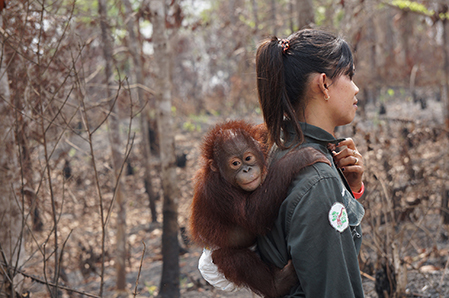 Orangutan Outreach's mission is to protect orangutans in their native habitat while providing care for orphaned and displaced orangutans until they can be returned to their natural environment. 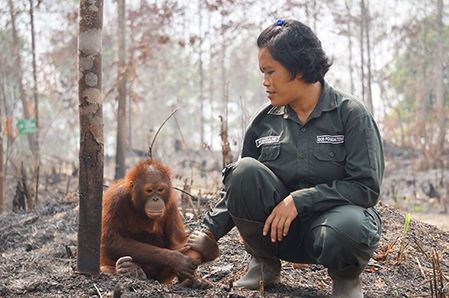 The New York-based non-profit raises funds and promotes public awareness of orangutan conservation issues by collaborating with partner organizations around the world. 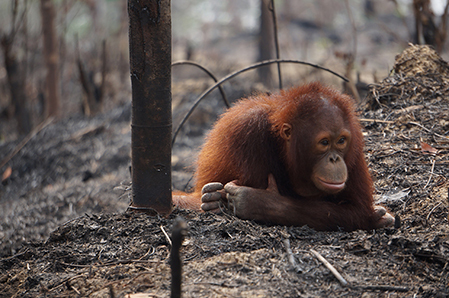 One of the key issues facing orangutans in the wild is the loss of habitat due to fire. 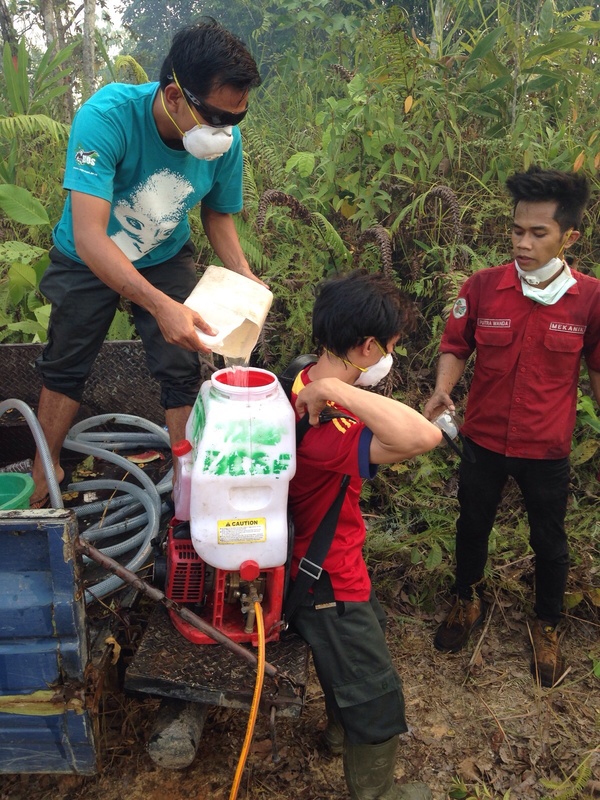 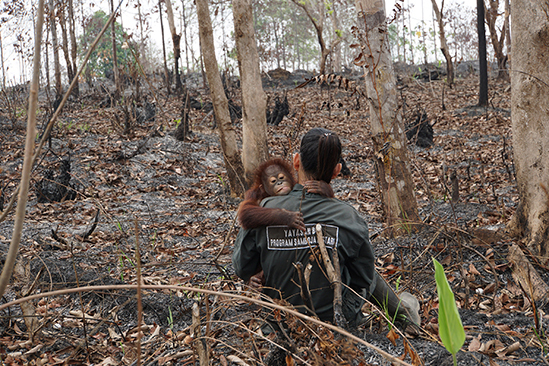 In order to prevent and mitigate the damage from forest fires, Orangutan Outreach is supporting a network of partners in the field who are working to prevent the fires from spreading. 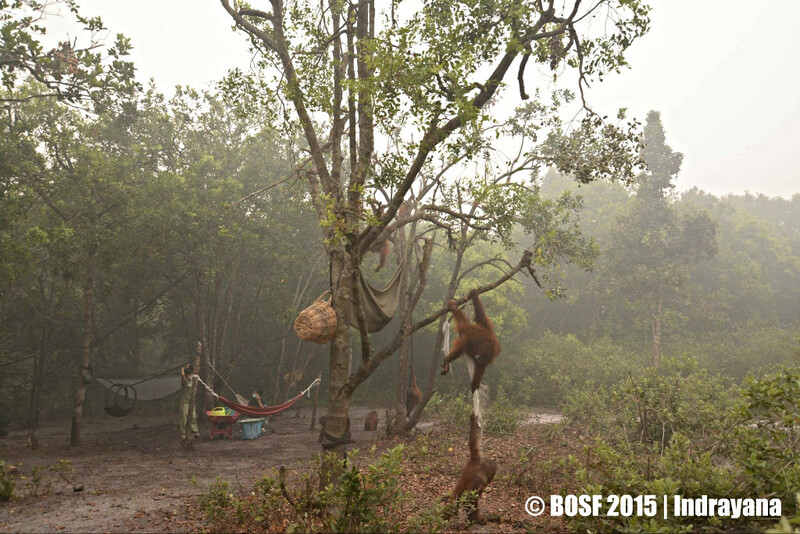 Borneo Orangutan Survival Foundation (BOS)The BOS Foundation has dedicated teams working throughout their forest-based programs, orangutan reintroduction sites and long-term conservation areas in Central and East Kalimantan (Borneo). 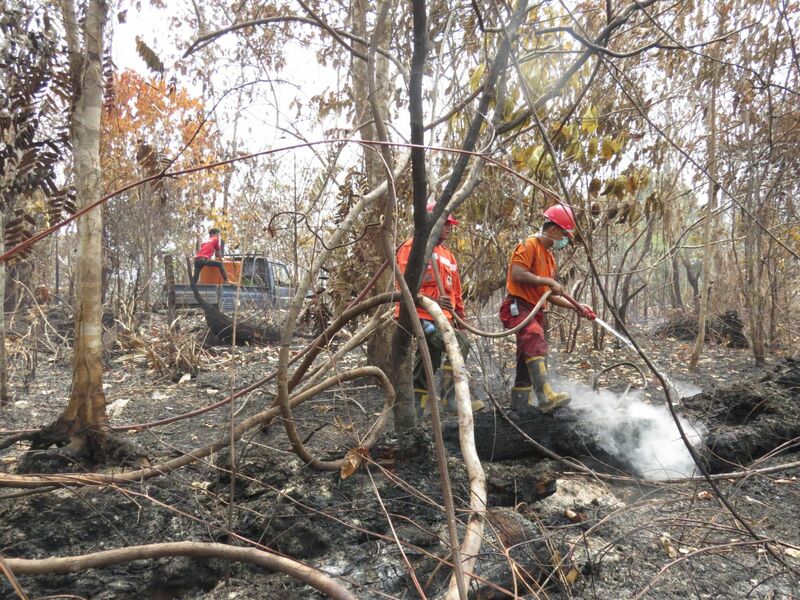 These teams are responsible for working together with local communities and other stakeholders on early detection and suppression of fire outbreaks and outreach education and awareness locally to change land-clearing practices through the use of fire. 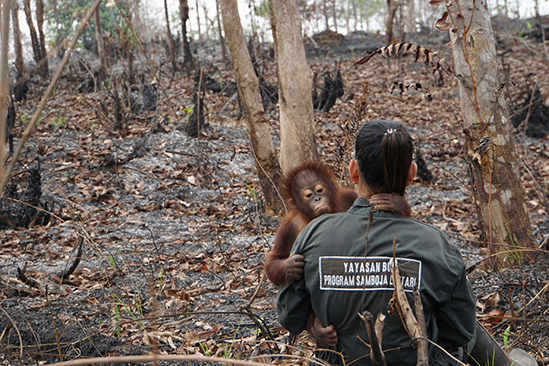 Together with local people their teams are actively fighting fires and implementing the strategies needed to significantly reduce negative environmental impacts within orangutan habitat. 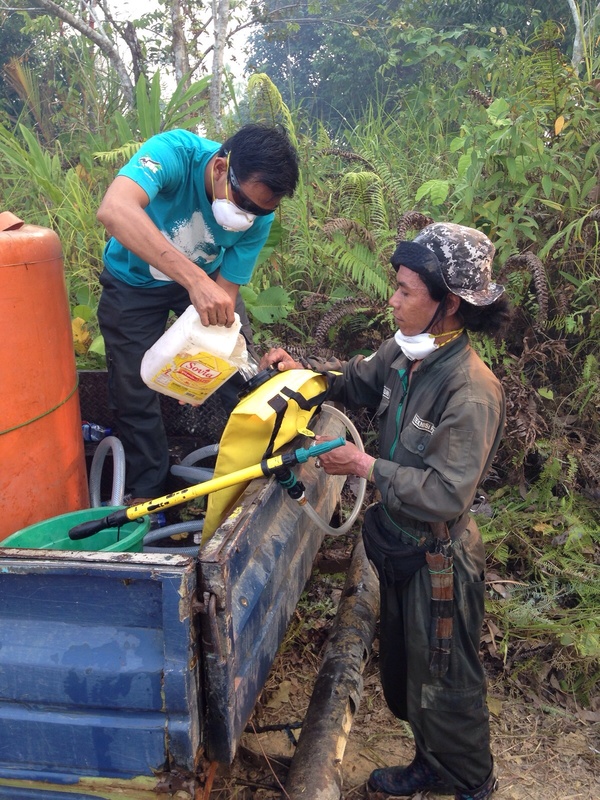 Funds are desperately needed to buy the equipment and support the teams undertaking this critical activity. 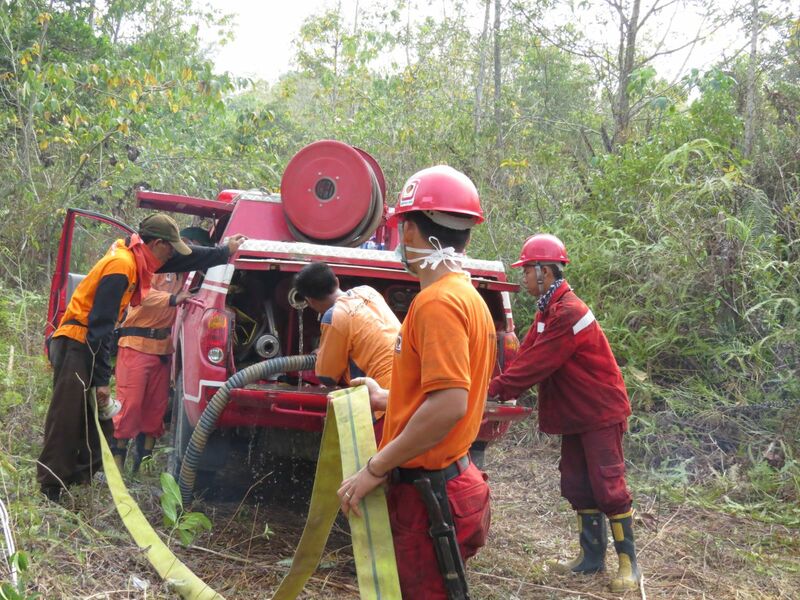 Fire-prevention and animal rescue teams from IAR conduct fire-fighting training workshops with local villagers based in and around Ketapang, West Kalimantan. 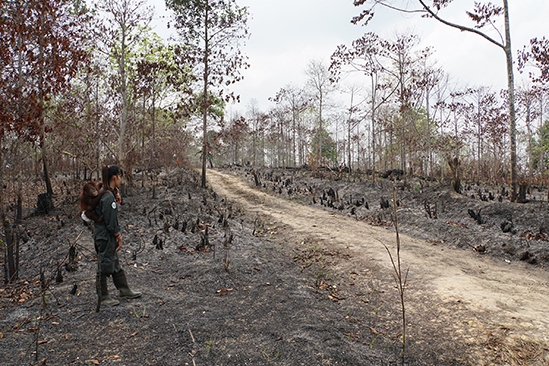 Funds are needed to scale up the workshops so villagers in more remote regions can be trained to prevent forest fires. 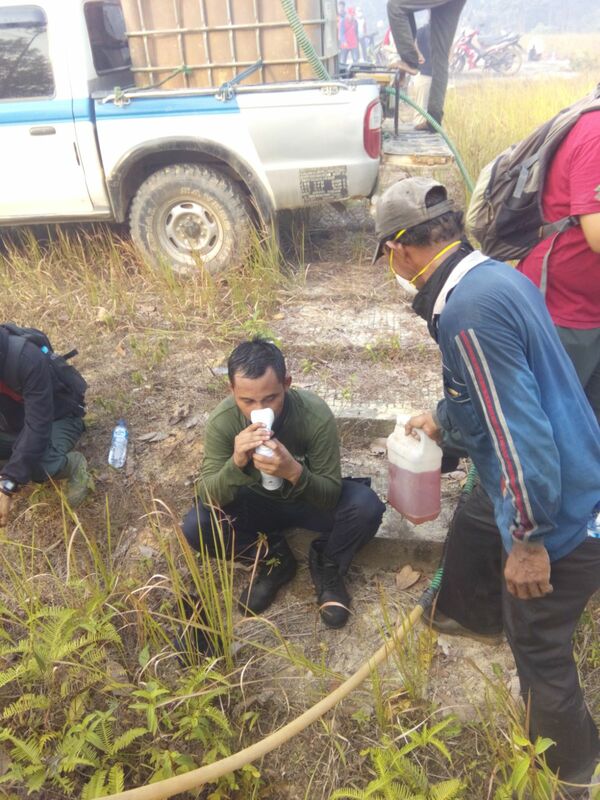 The patrol units are also trained to confront wildlife poachers and are on the lookout for orangutans in need of medical help or relocation to safer areas of forest. 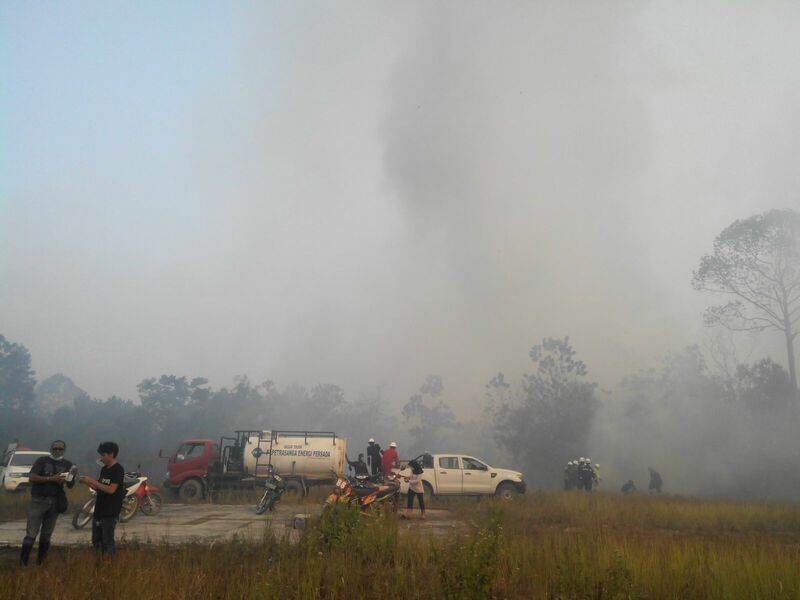 IAR has also begun to implement the use of drone technology to discover and monitor fire hotspots and needs funds to develop programs in conjunction with local authorities. 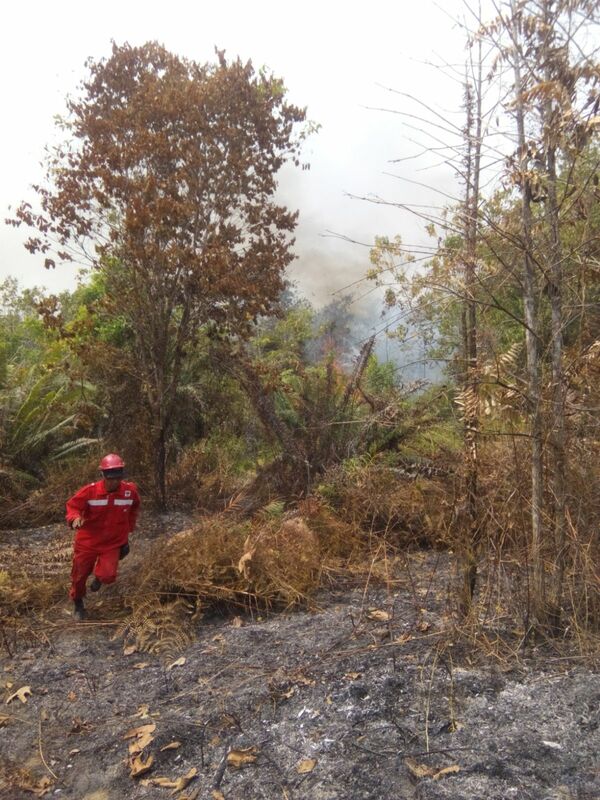 Their goal is to be able to locate and address fires in remote locations without delay and be able to better utilize limited human resources to be as effective as possible in the field. 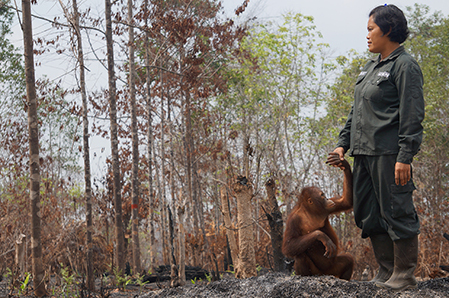 OuTrop supports community fire-prevention and anti-poaching teams that protect the Sabangau Forest – home to the largest population of wild orangutans in the world. 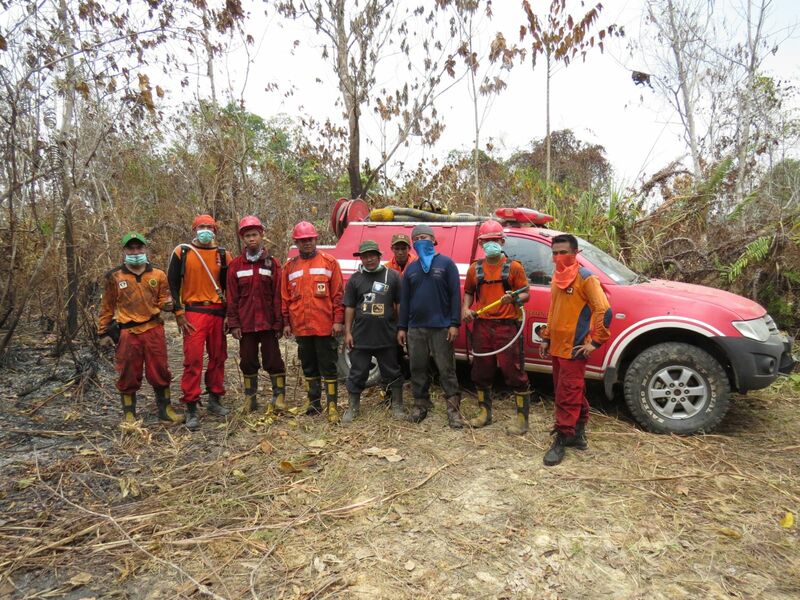 These teams are coordinated by CIMTROP, an NGO based at the University of Palangkaraya, whose main priority is to train and equip teams from local villages to prevent fires and effectively deal with them when they occur. 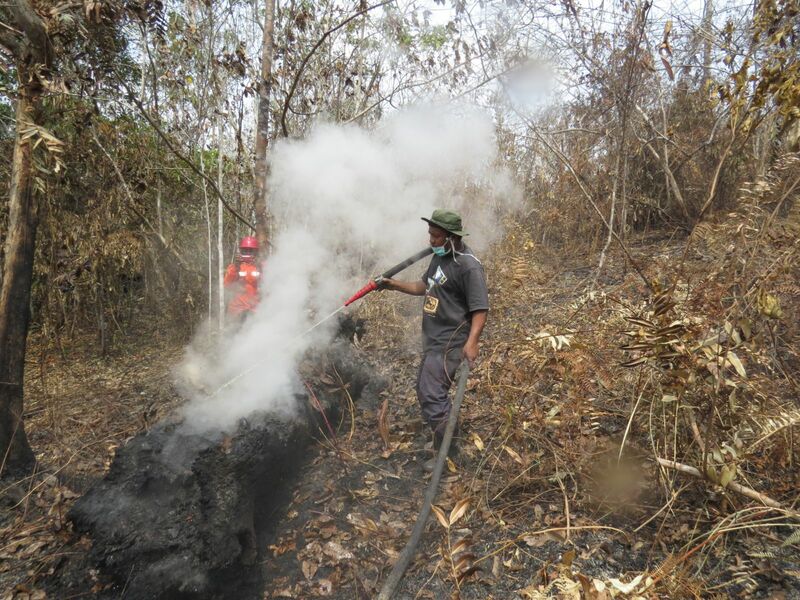 Funds are needed to provide and maintain essential equipment for the fire-fighting and patrol teams, to undertake training sessions in fire-prevention and fire-fighting with local villages, and to mobilize teams to identify and extinguish peat fires during the dry season. 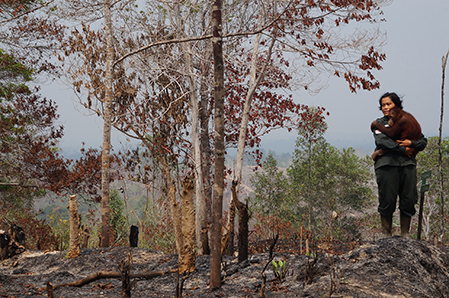 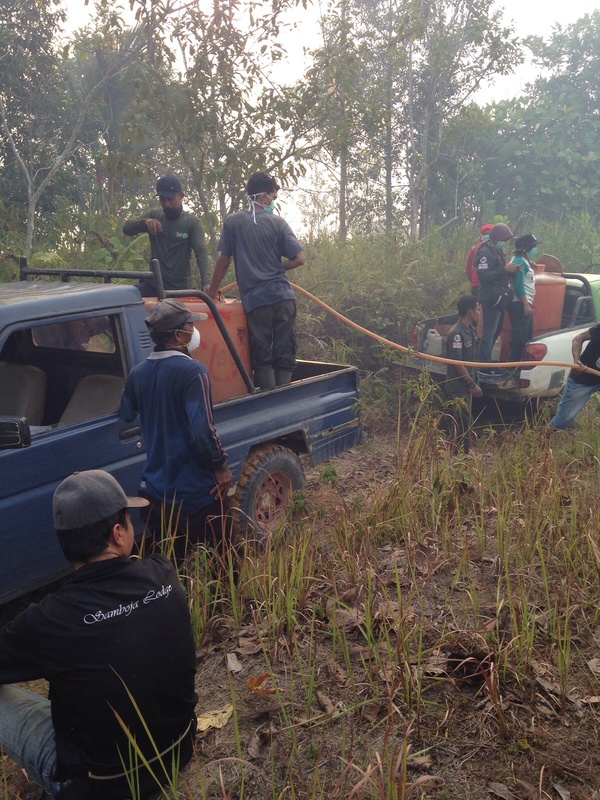 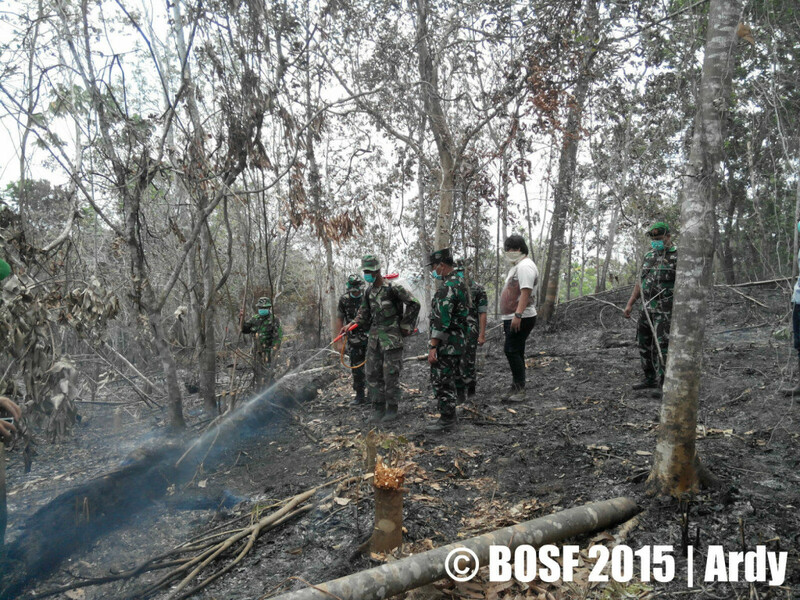 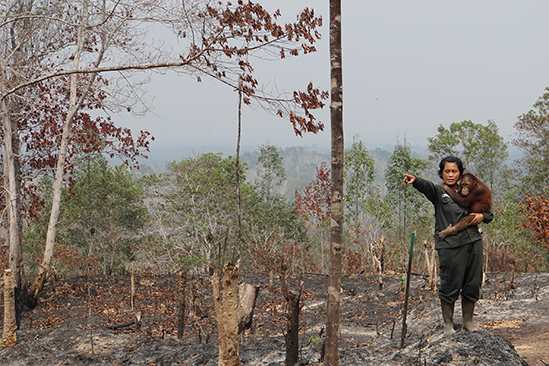 OUTROP and CIMTROP also have teams of local villagers working to rehabilitate damaged peatlands to prevent fires. 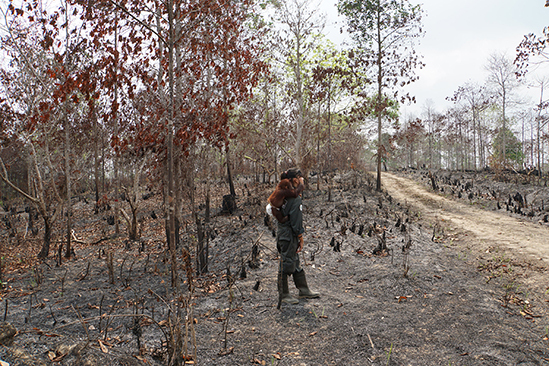 They do this by building dams on illegal-logging canals in order to prevent the peat swamps from drying out, and by planting fire-resistant trees and bushes in degraded areas and the forest margins. 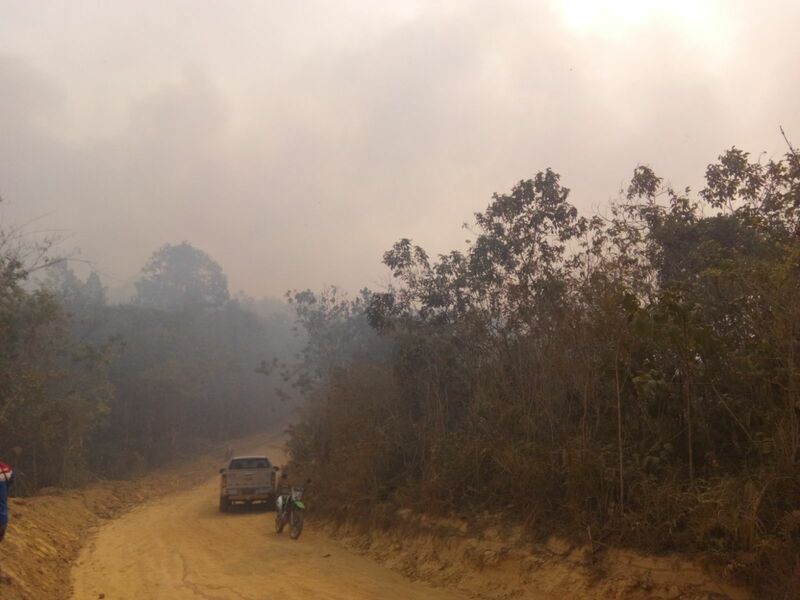 Drained peatlands are extremely susceptible to fires that are very difficult to extinguish – therefore fire prevention is the best cure to prevent haze in the long-term.